The jewel in the Cuillin crown is the Main Ridge Traverse, Britain’s finest mountaineering challenge. Twenty-two peaks lie in a continuous chain stretching over 12 kilometres and, with over 4000 metres of ascent and descent, gives one of the finest and longest Alpine-style rock routes in Europe. 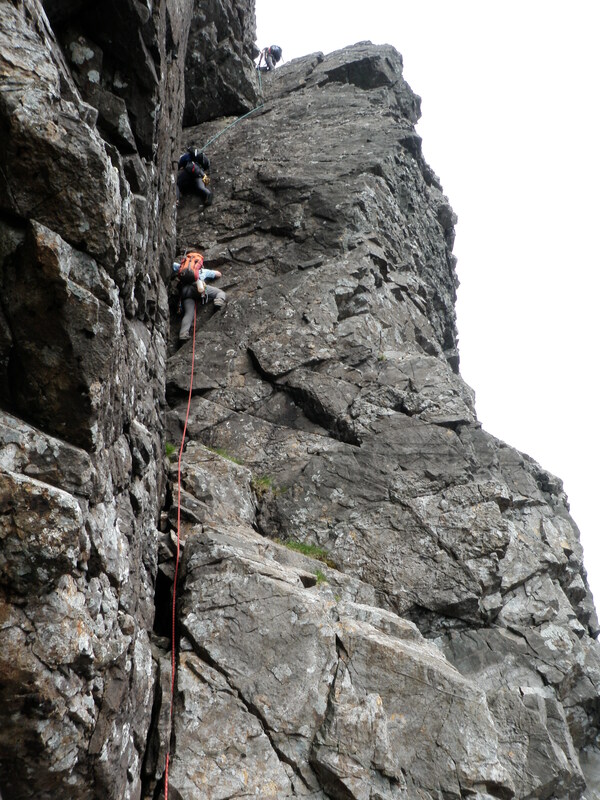 Skye has such a huge wealth of Rock climbing that two separate guidebooks are now needed to cover the island. The Cuillin edition is written by Skye Guides owner Mike Lates. 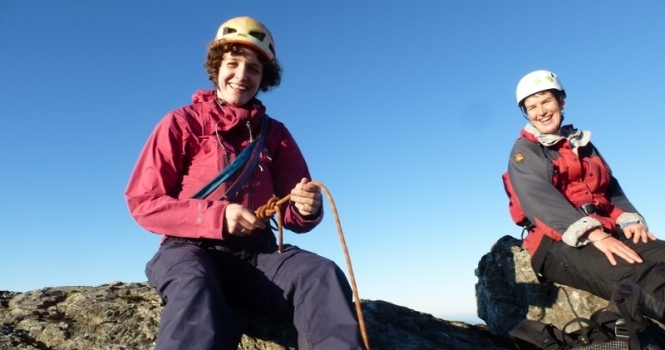 All of our Guides are keen, active climbers as well as professional instructors. 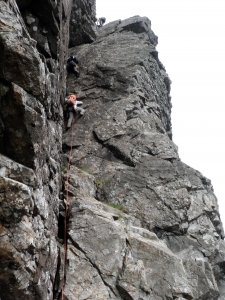 Our local knowledge helps us to find dry rock and suitable routes whatever your experience or ambitions. For the less adventurous our guides also know plenty of easier routes that allow you to get great photos and views without any need for ropes. They can provide an insight into the natural history, geology and local history on outings arranged to suit you. The Other Services page gives an idea of easier walks, overnight expeditions, natural history walks, photography and many other things that our local knowledge can help out with. Our Why Skye page has inspiring ideas of what makes The Isle of Skye Scotland’s number 2 tourist destination. There is a lot of important Information about activities, the mountains, how we do are job and other FAQs available on pages that will open in a seperate window.